In full view of Treasure Island, the city’s eastern waterfront and the imposing, battleship-grey bay bridge lies the Auddifred building – a 19th-century jewel of San Francisco’s illustrious past and home to one of the city’s (and nation’s) most beloved and enduring dining destinations. Launched in 1993 by master chef Nancy Oakes and renowned designer Pat Kuleto, Boulevard restaurant quickly became an American classic. And, as with all award-winning tables, Boulevard boasts a world-class cellar hand selected to elevate each culinary creation while offering up a unique, vinous experience to its customers. Developed and executed by wine director and lead sommelier John Lancaster (assisted by sommelier Rob Perkins until his recent departure), the wine program here continues to be one of the most exciting and dynamic in the city. I recently sat down with John to ask him about his journey as a sommelier and wine director and his new adventure with longtime friend and colleague Rob Perkins – Skylark Wine Company. 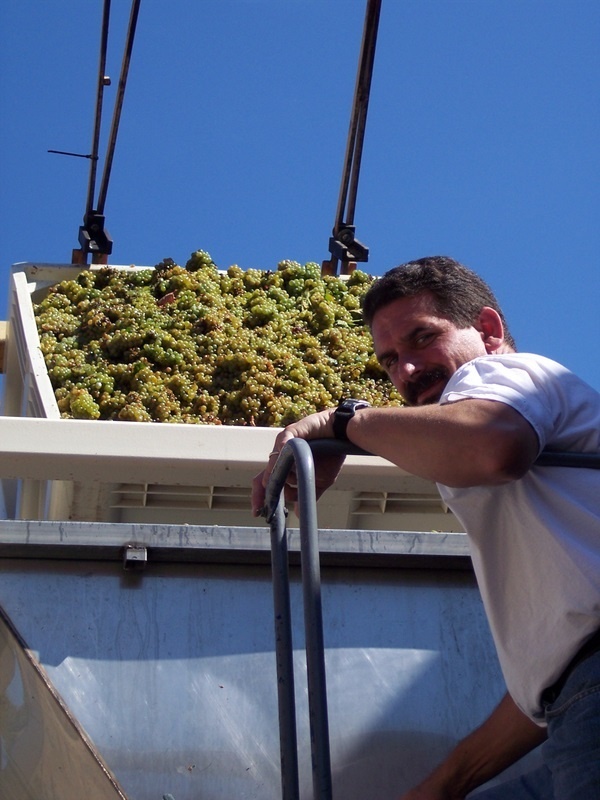 SlaveToTheGrape: Until recently, you shared the day-to-day management of the wine program at Boulevard with Rob Perkins, your friend and business partner who is now solely dedicated to your Skylark Wine Company efforts. When did this new venture launch and what style of wines do you produce? We went and got our manufacturer’s license and worked on getting some grape contracts. Now, though I never would have imagined it, we work with about ten growers and make about 5,000 cases of wine. We make a little Rosé of Grenache, some Pinot Blanc, Chardonnay, Carignan, Grenache, a couple of Syrahs and went to the dark side (laughs) and made a little Napa Cabernet (Sauvignon). We’re sourcing from all over California – two vineyards in Napa, three in Sonoma, four or five in Mendocino. We like that. We’ve found some growers who are like-minded. It’s kind of fun to be able to make Sonoma Coast Syrah, Napa Cabernet, Grenache, Pinot Blanc and Carignan from Mendocino. STTG: How do the unique challenges and rewards of running a world-class, fine-dining, wine program contrast with those of producing and marketing high-quality, small-production wines? So in a way, for me, the reward in the end is more visceral with winemaking. When you’ve taken it from grape, through elevage, to bottling and we pull a bottle off of the bottling line, taste the wine and smile, there’s nothing you can say that can explain that feeling. After all these years I still enjoy it. We have a great chef-owner (Nancy Oakes). I’ve had people from all over the world tell me that they haven’t been here for a while but that it’s their favorite restaurant. I’ve been all over the world and bumped into people who have told me what a great restaurant experience they’ve had here. It’s a neat feeling to be a part of something like that. We’ve operated at a high level for two decades, which is not easy to do but there are a lot of people who put in the energy and the effort to make it happen. A lot of people think winemaking is all glamour – being at wine events, tasting great wines. They don’t realize that it’s really about moving heavy things, getting into a tank at eight o’clock at night to clean it. That said, when you finally do get the end product it definitely is a feeling of accomplishment. STTG: Can you describe the division of labor at Skylark and the philosophy you share as partners that drives this venture? JL: Rob does our books bless his heart. There’s a lot of reporting to do. We definitely do share the work. As harvest comes we both make trips into the vineyards. In some years I might take three or four and then he may be the point man on three or four others, checking out the vines, taking samples and all that. With the winemaking it’s a fifty-fifty thing. Otherwise, he might need to travel to another market so I’ll be at the winery or maybe I’ll need to be at the restaurant and he’ll be at the winery. So, it’s pretty much an evenly shared responsibility. One good thing about Rob and I is that after all these years we taste similarly. When you’re doing blending trials and one of you likes this or that better and you’re banging heads together it makes it hard. Thankfully for us we taste pretty similarly. When we taste blind we’re usually along the same path so that’s good. In the early days when we were securing our first grape contracts, our back-of-the-paper-napkin business plan was to make wines that we like to drink. The idea was that if the wine is on my counter while I’m prepping dinner and I’m not enjoying it then I haven’t done the right thing. In a way this is still our philosophy. One of the things that has translated from sommelier to winemaker is that I’ve had the good fortune to taste a lot of wine and I appreciate it greatly. I have had the opportunity to taste great wines and not so great wines. So our palates really come into play as far as what we make and the style we make. We know that we like white wines that have nice aromatics, crispness, precision and clarity with not a lot of oak profile. I understand that there’s a time and a place for a big, rich, buttery Chardonnay but for the most part that’s not our deal. For the reds, we make wine in California and feel we should reflect that. We like to make site-specific wines. 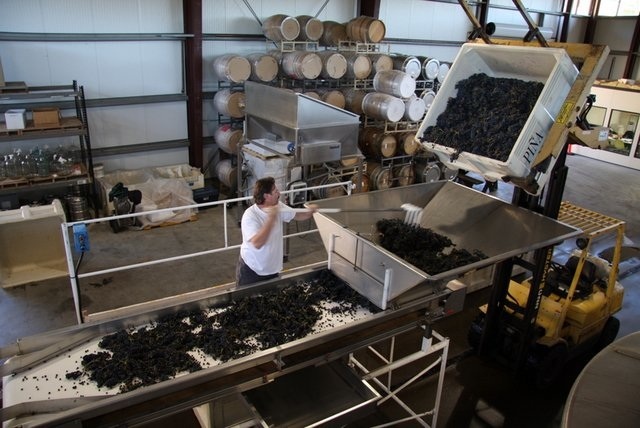 We make different Syrah that all taste distinct which is a statement for terroir in California. We handle them pretty much the same but they’re totally different because the sites are unique. We do make a couple of blends, one is kind of an ode to the south of France, the other to the Priorat (Spain). We love doing blending trials and these types of wines seem to resonate with the market. Our style for the reds are wines that are ripe, juicy, spicy, textured – again, not really oak-dominated wines. Being somms we like food-friendly wines. Also, we want to make wines that people can afford to drink, so we try to do that as well. STTG: Given the path you have traveled these past twenty or so years, how do the roots of your experience in the industry inform your efforts at Skylark? JL: In twenty years of doing this we know what we don’t want to do. The experience doing this has honed our palates good or bad. We know we have our own palates and we trust them. I’m not saying that I have the best palate in the world because I don’t, but it’s mine and I trust it. Our wines reflect that. Also, from being in the business as long as I have I’ve developed so many great relationships. I’ve met so many people for whom I have so much fondness, who have helped me so much along the way. I could pick up the phone at any time and say, “hey, I need help with this, here’s what’s going on, what should I do?” and get assistance. There’s a real camaraderie between a lot of producers in that way helping each other. We’re all on the same train trying to take California’s wines to the next level. It’s so clear in the last twenty or thirty years how much that’s happened. There are better vineyards, better growers, better winemakers and better chemists. We’ve come a long way and there are so many people who have helped me immeasurably. I wouldn’t be here without their help. Just the experience of being around wine for the last twenty-plus years has certainly given me a framework of where I want to go. STTG: What has the progression of Skylark Wine Company been from its inception and what do you both have as a vision for the company over the next five years? JL: When we first started it was kind of a lark. We were just trying to learn something and have some fun. I don’t think I could have imagined being where we are now. The first vintage we made was three hundred cases or so. Now we’re up to about five thousand! As we go forward we want to define and redefine what we do and kind of continue to do more of the same. STTG: Finally John, what is it that most of all encapsulates the essence of the meaning of wine for you? JL: It’s an inextricable part of my soul. It has given me so many great life moments. What I love about it is the history, the geology, the geography, the human element, what it has meant over centuries. I just find it after all these years still fascinating. Each year’s a new vintage so it’s like the restart button. Everything begins again. There are always new producers, new wines to be discovered. It’s truly a part of my soul. « John Lancaster – Destem, Decant, Deliver!